I saw the paint-dipped baby food jars over at Oh happy day some time ago, and I knew it was the perfect project for me, since we are simply overloaded with empty baby food jars. 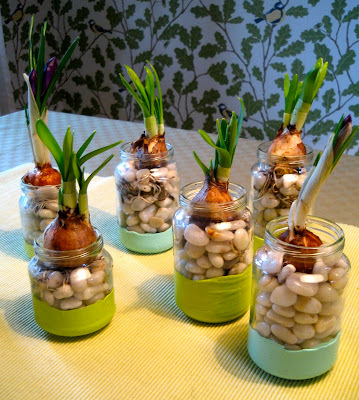 I dipped the jars in paint (harder than I thought to get it smooth), and planted tiny crocuses and daffodils in them. Hey presto - a spring installation! Summary in Swedish: Jag har planterat små krokusar och påskliljor i färgdoppade barnmatsburkar. 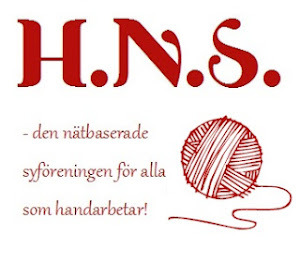 Idéen kommer från Oh happy day!